This week’s Consumer Price Index data will shed more light on underlying inflation ahead of the Federal Reserve’s (Fed’s) September 21 meeting. In 1919, the Federal Reserve Bulletin stated that inflation is the process of making addition to currencies not based on a commensurate increase in the production of goods. We like this definition because it recognizes inflation as essentially a “monetary phenomenon,” to borrow Milton Friedman’s words. It also clarifies the central bank’s role as chief steward of the money supply and inflation rate. Inflation, or lack thereof, is the key feature in the debate over the path for monetary policy. The Federal Reserve is expected to meet on September 21. They will likely address improving near-term growth and financial conditions. At the same time, they may also express concern about longer-term growth issues (i.e. low productivity and workforce dynamics). 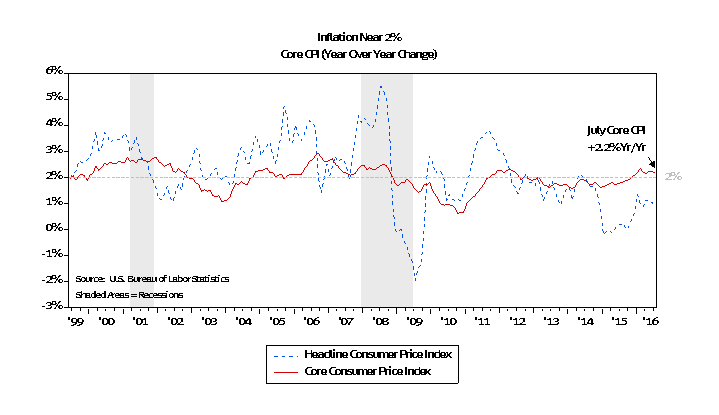 Core inflation (chart, below) seems to be holding steady near the Fed’s 2% target level. Most of the decline in headline inflation can be explained by falling commodity prices in 2014-2015. Without a recession, we see commodity prices firming, giving global headline inflation a lift too. The debate over Fed policy is complicated by disparate growth paths around the world. Last week’s decision by the European Central Bank to forego additional asset purchases came despite their weak inflation forecast and concerns about downside risk. Similarly, the Bank of Japan (meeting on September 21) also seems less willing to increase asset purchases. Disappointing results from asset purchases quantitative easing (QE) on growth, already lifted asset prices, rising inequality, historically low rates, and bond scarcity are all raising questions over whether extensions to QE are appropriate. The European Central Bank, Bank of Japan, and Bank of England have QE programs at some stage of operation totaling approximately $250 billion of monthly purchases. Although the Federal Reserve will consider global conditions, their first responsibility is maintaining domestic price stability. This week’s Consumer Price Index data will shed more light on underlying inflation. LONG-RUN STRATEGIC POSTURE: Our long-run forecasts lead us to overweight large cap domestic growth stocks, high-yield corporate bonds, and gold in the diversified “core” of portfolios. Underweight positions in “core” are long-term U.S. Treasuries, foreign-developed equities, and REITs. 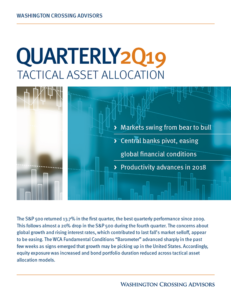 Meanwhile the equity allocation in the short-term tactical “satellite” portion of portfolios was increased to 40% equity / 60% fixed income from 33% equity / 66% fixed income. 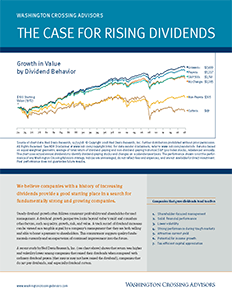 Mid-year rebalancing took place at the end of June to reflect updated long-run forecasts.